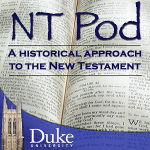 The NT Pod and the NT Blog go on the road! It's long been an ambition of mine to visit the sites connected with the Apostle Thomas out in Chennai (formerly Madras) in India. I decided to photograph my visit and also to record my reflections. It is about 14 minutes long. The audio quality is of course much worse than usual. I was recording on my iPhone and I am a bit breathless as I climb the steps early the episode. And the wind at the top of the mount also interferes with the recording, as do the sounds of the planes above. But I hope that you enjoy a bit of the Chennai ambience, especially all those honking cars. I arrived at the mount by taxi after a getting stuck in a very long traffic jam. Chennai traffic can be choc-a-bloc. I must admit that there is no way that I would want to drive here. It can be pretty terrifying to see how India drivers drive, and it's amazing that there are not more accidents. It's a question of experience, I suppose. St Thomas Mount is in Chennai and is pretty close to the airport. There's a enjoyably battered old sign that greets you on entry (right), with a "tiffin" stall just underneath. Beyond the battered old sign, to the left as we look, is the facade at the bottom of the mount that marks the beginning of the journey to the top. This nicely white-washed appearance is characteristic of the whole, including the walls either side of the steps on the way to the top, and the chapel building on top of the mount. As one walks up the steps, the stations of the cross appear at regular intervals. I visited the site on a Monday afternoon in February and there were only a few people around. And few of those were real tourists. The small shop selling religious artefacts was hardly doing any business at all. Most of the visitors appeared to be there to pray. I think I saw more people inside the chapel than anywhere else. It is striking to see how strongly the Thomas tradition has taken hold in the region. The tradition is at least as old as the Acts of Thomas which tells the story of the apostle's pilgrimage to India, at first with great reluctance. St Thomas Mount itself offers very little by way of explanatory history. I didn't see a single placard giving anything of the apostle's story. His connection with the location is simply taken for granted. A colourful statue of Thomas, with a gold, red and pink garment greets the pilgrim towards the top of the steps. He holds in his hand a book open to the words "My Lord, My God" (John 20.28). This is the first time we see these words, but then they appear again and again all over the shrine. Once at the top of the mount, one of the more striking features is a tall, golden crucifix, on the far side of the mount, overlooking the city. Just below it, as one looks down towards the city, the words "My Lord, My God" are spelled out in white stones. The central piece is the church itself, which stands with a bronze relief of the Last Supper above its door. Once again, "My Lord, My God" are repeated here. The chapel has an entrance called "the door of mercy", again with "My Lord and My God" over it, and a recent (2011) statue of Jesus and Thomas several feet in front of it. Inside the chapel, there are individual pictures of the twelve apostles, right down to Thaddaeus, surely the more overlooked of the twelve! I was perhaps a touch disappointed that the mount was so thoroughly focused on the one passage in John 20 and that there was so little influence from texts like the Acts of Thomas, and remarkably little on the apostle's connection with India. One of the only depictions of Thomas not taken from John 20 is this scene of the apostle praying. It appears after the door of mercy on the entry into the chapel, opposite a depiction of Thomas and Jesus drawn from John 20. of the only depictions of Thomas not taken from John 20 is this scene of the apostle praying. It appears after the door of mercy on the entry into the chapel, opposite a depiction of Thomas and Jesus drawn from John 20. There is also a convent on top of the mount. It speaks rather invitingly of "cool drinks" but nothing was on offer when I entered, and although there were several people in there, they appeared to be deep in their own conversations. Elsewhere on the mount there is a stall that sells souvenirs but they were not really to my taste -- the kinds of garish mini-statues of Thomas and of Jesus that one would only buy to prove that one has visited the site. There are loos just around the corner from the convent but it has to be said that they are a touch on the primitive side, perhaps dating back in time to when Thomas first visited India. Overall, though, St Thomas Mount is well worth a visit. If you're anywhere near Chennai airport, it's a pretty short journey. Unless I missed it, disability access is poor to non-existent, so it is sadly only for those who can tackle the walk. Although there are not that many steps, you may find yourself puffing and panting a bit (as you hear on my podcast), especially if you go along, as I did, during the heat of the day.